Khuzaima Qutbuddin argues that the Dai, Mazoon and Mukasir are one and the same and all three can see with the Noor of Allah Taala. His website also states the following: “Syedna Qutbuddin’s supporters are with Syedna Mohammad Burhanuddin, and he is with us. 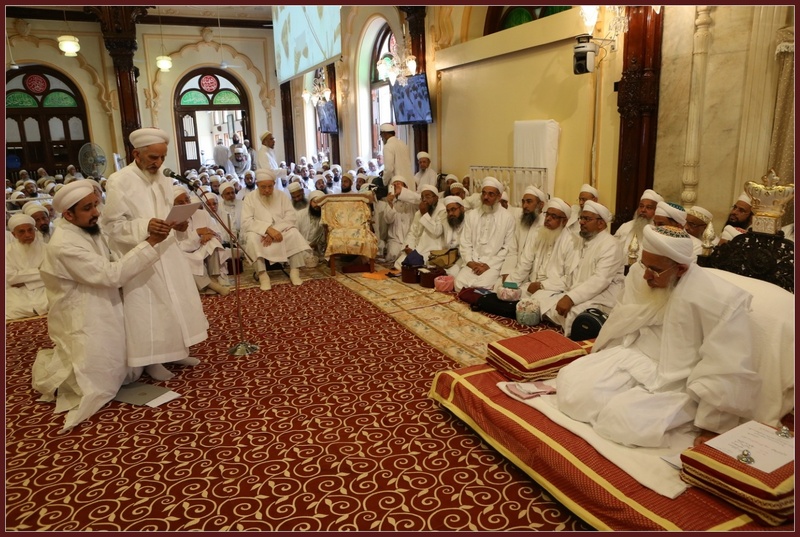 We are mumineen, true followers of Syedna Mohammad Burhanuddin, and true adherents to the misaaq, fulfilling our qasam of walayat to Dai Mazoon Mukasir.” What justification can they provide for Syedi Mukasir Saheb Husain Bhai Saheb Husamuddin accepting Syedna Mufaddal Saifuddin TUS as the mansoos of Syedna Mohammed Burhauddin RA? 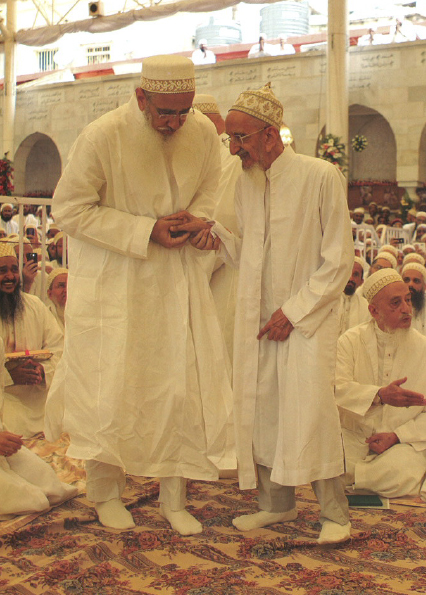 Syedi Mukasir Saheb doing talaqqi of Syedna Mufaddal Saifuddin TUS. 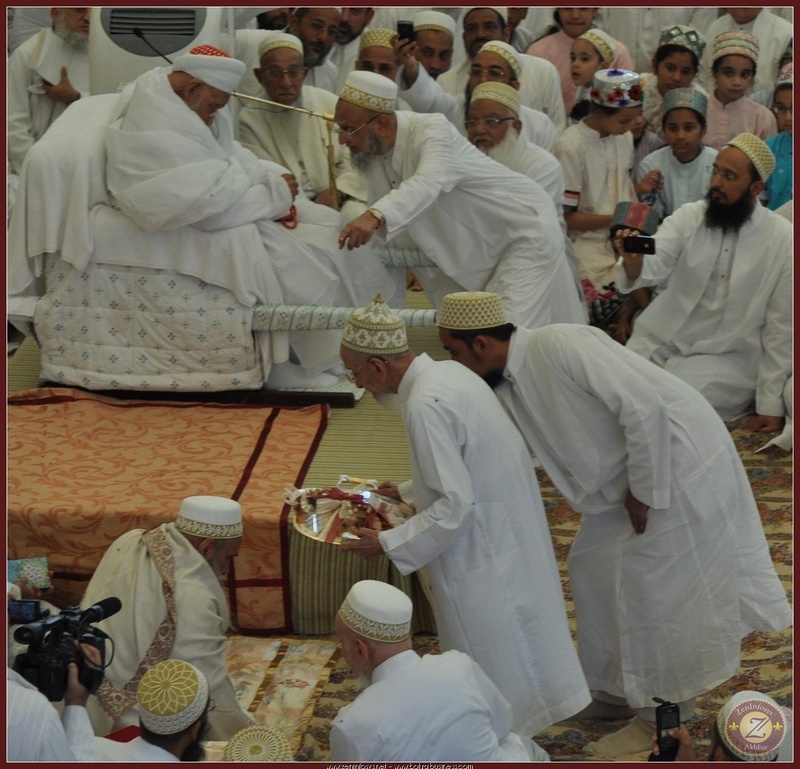 Syedi Mukasir Saheb guiding Syedna Mufaddal Saifuddin TUS to Syedna Burhanuddin RA, and Syedna Burhanuddin RA seen welcoming him. 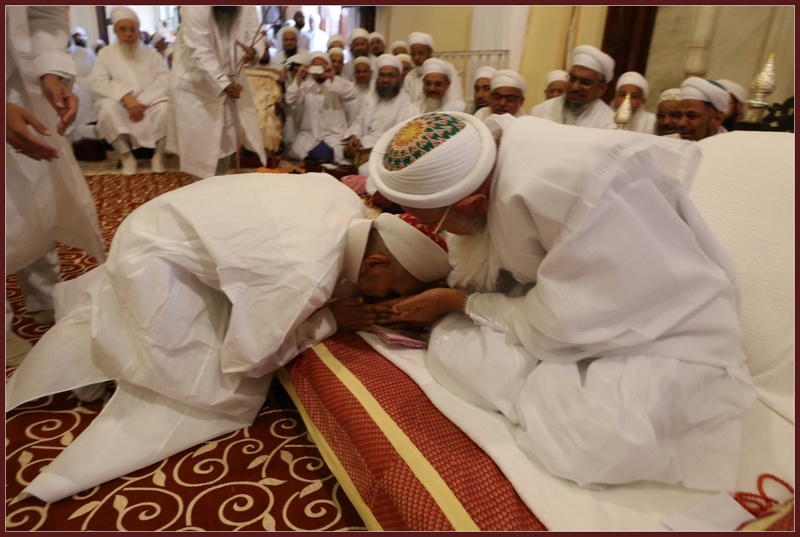 Syedi Mukasir Saheb doing wadhawa to Syedna Mufaddal TUS after Nass. He did shukr araz that had had the good fortune of serving 3 Dais, Syedna Taher Saifuddin RA, Syedna Mohammed Burhanuddin RA, and Syedna Mufaddal Saifuddin TUS. He said the Syedna Mufaddal TUS was the mansoos of Syedna Mohammed Burhanuddin RA and the Nusoos (plural Nass) from the time of Ghadeer e Khum have reached him. He then went on to say that he was Syedna Mufaddal Saifuddins TUS humble servant, and would remain in his khidmat till his last breath. Syedi Mukasir Saheb then clarified the ikhlaas ni tasawwur saying “maraatib na maalik aap cho” (you are the owner of the maraatib (rutba) (of Dawat), and then recited an ayah of the Quran (Aale Imran:26) saying it is solely the Dais right to give and his to take. He ended by saying that the impostors that do inkaar (reject) of the True Nass in reality have done inkaar (rejected) of ALL the previous Nass, and are mustahiq (worthy) of la’nat. When an Abd (servant – of Allah) performs Sajda, Iblees (the devil) screams, “This man obeyed, and I disobeyed, He performed the Sajda and I refused!”. (Kitab al Taharaat – Introdution). Maybe Khuzaima should take advice and learn humility and obedience from Syedi Mukasir Saheb, he who has lived alongside Syedna Mohammed Burhanuddin RA for 99 years. Syedi Mukasir Saheb doing bayaan on 25 Rabi Awwal 1435. 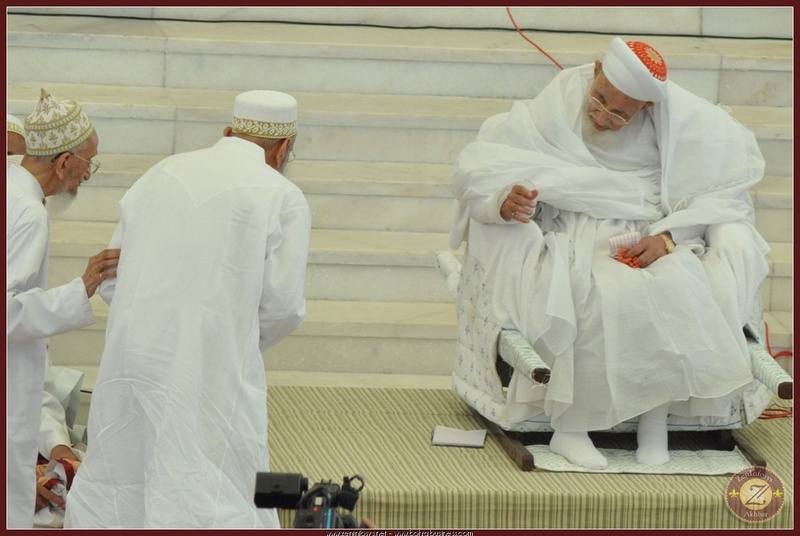 Syedi Mukasir Saheb doing salaam to Syedna Mufaddal Saifuddin on 25 Rabi Awwal 1435.